Purple House is the 2018 NT Telstra Business of the Year as announced at a ceremony in Darwin in August. Recognised for being a strong Indigenous-run and controlled organisation, Purple House provides dialysis in 14 remote clinics as well as the Purple Truck, a mobile dialysis service. 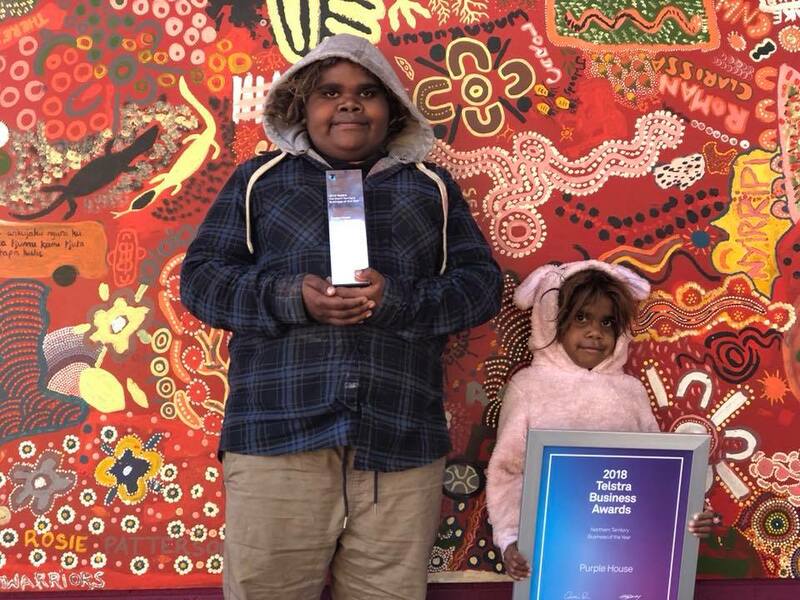 The award recognises the tireless work of Purple House staff, volunteers, patients and their families, who have worked to build an organisation that supports Aboriginal people suffering from end-stage kidney disease, enabling them to return home to their communities and families while continuing dialysis treatment. “They want fire for the smell of wood smoke going through the air. They want to smell the flowers after the rain,” a Purple House Board Member told the judging panel. 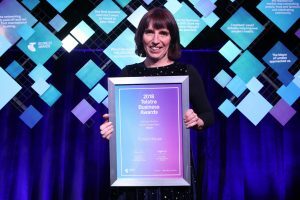 Nominated in the ‘Social Change Maker’ category, the judges said that they were inspired by the way in which Purple House has made a significant impact on the health care system and on the lives of the population living in regional communities. “Our members are from the most remote part of Australia, the desert, and they had this one thing that they wanted to sort. A community problem was causing them great heartache, which was people having to leave their community and not having their family around to look after them,” said CEO, Sarah Brown. “If our services aren’t there, then people have to move off their country to a place that’s owned by other people and life becomes all about waiting for your next dialysis day. That means that people are really likely to get sicker. What we found is that by providing services that are run by the community on community, that people are living longer, contributing to their local economies, teaching family their cultural knowledge, and really significantly contributing to the community,” Sarah said. Last year Purple House helped 157 people return home, providing a whole new model of care for dialysis patients in remote Australian communities. “We’ve had to work really hard to attract philanthropic funding and to attract non-Aboriginal people to come and understand the issues that face remote communities,” Sarah said.